Enable Life Sciences offers a diverse array of services under a unique global umbrella of operations. Today’s global economy offers unique opportunities for generating revenue, creating clinical impact, as well as saving on product development costs. Harnessing these opportunities requires local expertise combined with a global perspective. It also requires global operations to steer execution and provide project management, while being sensitive to inter-cultural communication hurdles. 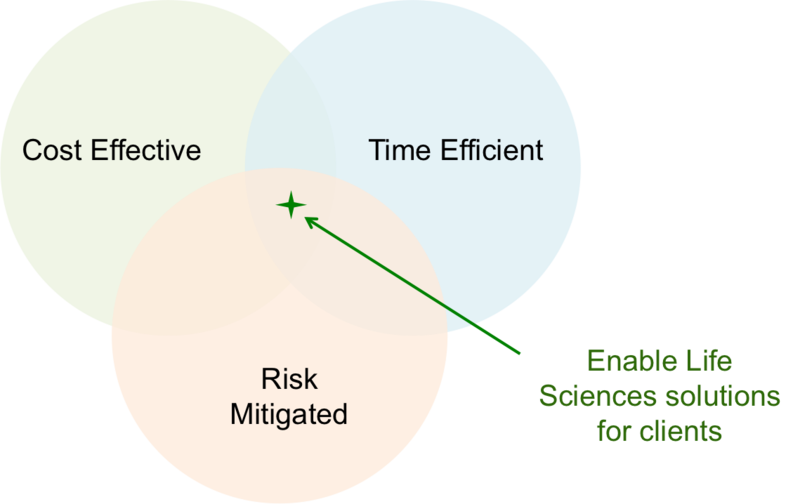 Enable Life Sciences offers expertise and operations at a global scale to achieve these goals for clients. We are a purely services based organization, with no internal programs of our own. Success for our clients directly translates into success for us. We create solutions for clients, where the risk has been mitigated, and where project success is achieved while saving time and money. Below, we have highlighted some of our specific areas of expertise, which are diverse and varied – for e.g. strategic innovation for the global marketplace, global intellectual property (IP) strategy, global project execution and management, process optimization, prototype development, and global clinical trial planning (amongst others). Enable Life Sciences has a broad reach within India to be able to interview physicians, surgeons and healthcare providers across all market segments – big hospitals in tier 1 cities to key opinion leaders in the tier 2, tier 3, semi-urban and rural market segments.We can customize our offering to clients by generating Voice of Customer (VoC) data through interviews, focus groups and panel discussions, and have the ability to operate in all market segments and geographies in India.We take care of all related logistics and execution. We are currently in the process of establishing and expanding similar capabilities in other Emerging Markets such as China and Brazil. Enable Life Sciences offers unique expertise in running R&D and manufacturing for life sciences clients in both developed and emerging economies. In addition to the synergistic extension of the development capabilities of clients, we offer particular expertise for sourcing and managing technical collaborations separated by national boundaries and culture. We specialize in sourcing and establishing collaborations with contract labs as well as academic institutions. Examples of global resources which we leverage for clients include contract research, contract manufacturing, as well as academic expertise in local diseases. We serve clients with interest the Emerging Markets, as well as clients in the Emerging Markets with interest in the developed markets. Enable Life Sciences helps clients with Intellectual Property (IP) strategy for the Emerging Markets, ensuring both leveraging and protection of IP. We serve clients in both the emerging and developed markets with their global IP strategy.